There are many options for flooring materials, from synthetic to natural. Many synthetic types of flooring were developed to achieve a specific result, such as easier cleaning and maintenance. Each type of flooring material has its own unique qualities, functions, benefits and disadvantages, and it is important to examine each one's appearance, function, required maintenance and durability before making a decision. Many specialty materials are available for flooring material, such as mosaic tiles. Wood is one option for flooring. Wood is the most popular type of flooring material on the market. It is aesthetically pleasing, long lasting, and if installed and finished properly, low maintenance. 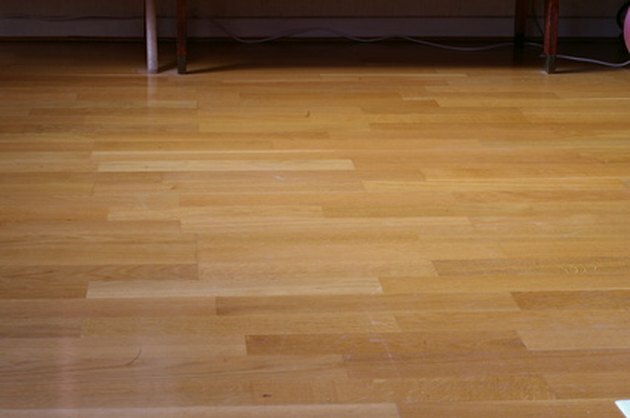 Ash, beech, oak, maple, cherry, walnut and bamboo are among the types of wood most used for wood flooring. The quality of wood flooring is denoted by grading. The higher the grade, the better the quality of wood in regards to grain and color. Since wood is a natural material, each piece is unique and therefore no one floor will appear exactly like another. Solid wood floors can be a little on the pricey side both in installation and materials, so if cost is an issue, there are second-hand and laminate options. Second-hand flooring can be found through dealers and might require a little preparation before installation. Laminate flooring is made from various materials fused together with glue to simulate real wood. It is much cheaper than real wood and looks like the real thing. Stone is also a popular flooring material for its natural beauty, durability and easy cleaning. The most popular stone flooring materials are marble, granite, limestone, sandstone, slate and terrazzo. Marble and granite are both chosen for their unique color patterns and durability and are expensive to install. Limestone and sandstone are close in appeal, with limestone being sealed for a shiny finish whereas sandstone is most often finished lightly to preserve the natural appeal of the stone. Both can be expensive but are durable. 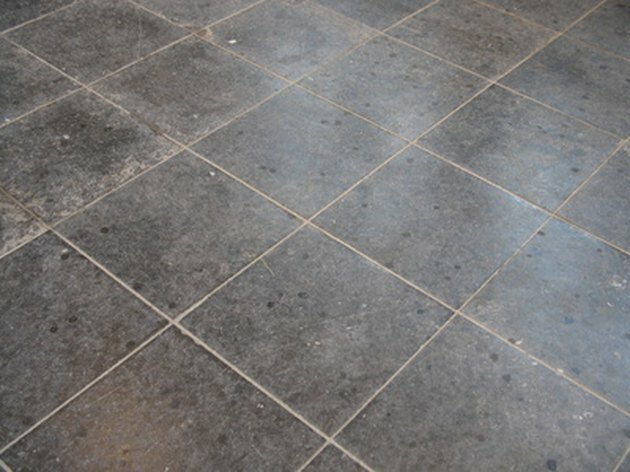 Slate is the least expensive stone flooring material. It is moisture resistant, making it a good choice for bathrooms and basements where water collects. 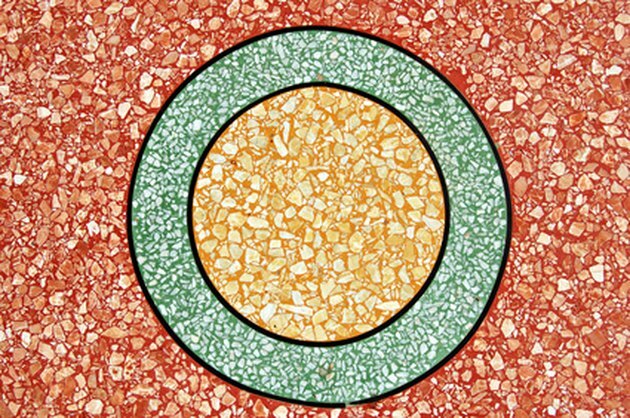 Terrazzo is produced stone flooring made from stone chippings mixed with concrete and then sanded and polished. Like real wood, no two stone floors will look alike. Tile is another flooring option. Tile is a popular flooring material because of its variety and versatility. Tiles for flooring are made from a variety of materials and can be made to mimic many other flooring options such as granite and marble. They come in a variety of colors and shapes that can be arranged in a uniform pattern or a creative design. The most commonly used tiles are mosaic, terracotta, ceramic, glass, porcelain and metal. Overall, they are cost efficient but sometimes require specialized installation.